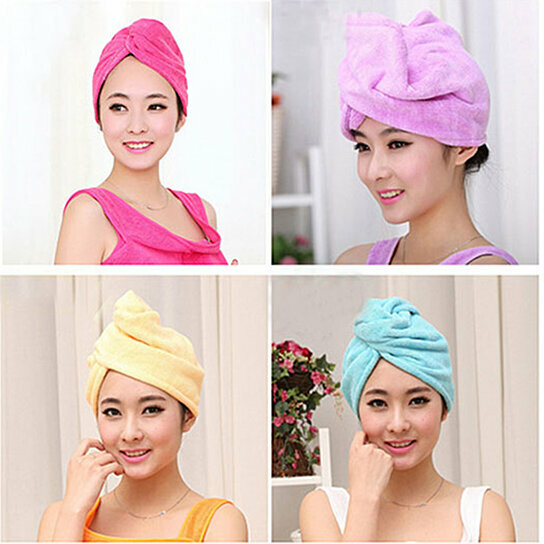 Please select an option Blue Dark pink Light pink Purple Yellow Teal Please select a Towel 1 Color. Please select an option Blue Dark pink Light pink Purple Yellow Teal Please select a Towel 2 Color. A revolutionary product that allows one to be the ultimate multi-tasker while drying their hair. It's unique twist and loop system makes it the hair towel that stays in place. Allows for a perfect fit on all head sizes. It allows users to get dressed, apply make-up, and check email - all while drying their hair.